We were disappointed with how little this meeting had to do with keeping our children safe and how much it had to do with an agenda to attack the Second Amendment. While claiming that no policy proposals would be “prejudged,” this Task Force spent most of its time on proposed restrictions on lawful firearms owners – honest, taxpaying, hardworking Americans. It is unfortunate that this Administration continues to insist on pushing failed solutions to our nation’s most pressing problems. We will not allow law-abiding gun owners to be blamed for the acts of criminals and madmen. Instead, we will now take our commitment and meaningful contributions to members of congress of both parties who are interested in having an honest conversation about what works – and what does not. What’s kind of laughable about it, is that I don’t think any of us seriously thought the Administration was interested in serious dialog. The “national conversation” was a farce from the beginning. This was planned “under the radar” to be executed the first pretext they had after the election. The only remaining option is to fight. Get writing your reps (and make them as sick of hearing form gun owners as I am of saying to badger them, and you probably are of hearing it). I still wonder what he had “transmitted to Putin” though Medev. Yes, this “national conversation” was always about us shutting up and listening to the lectures of our betters. Good thing, though, the NRA continues to be uncompromising. Hmmm, put the two together and I’m sure they had a draft press release, with various optional paragraphs and sentences, pre-written going into the meeting. And can we bury the NRA compromise meme now? Based on their past history? No way in hell. We expect them to be as uncompromising as they were with Clinton’s AW ban, but their other “compromises” show that’s not usually the way to bet. And the players are different, or at least older, on both sides. Much has changed; our impression that’s been in our favor is about to be tested. After the disaster of that presser the NRA has at least managed to not fold. And they even can strike a “reasonable” tone by finding the “good” stuff in some of these anti bills. See their response to NY Gov Coumo’s rant. Still, more members would be good. The point of the meeting for them is, you go to them to be schmoozed, on the odd chance you may be able to do them some good; and they’ll always be able to say “Well, I met with groups A, B, and C, and. . .” But they don’t care enough about you, in fact, to put any effort into it. Anyway, that is what the NRA should have done with Biden; tell him to stop by, and there’d be a visitors badge waiting for him. Ask the guard at the door. Two problems with your analogy: no way is the NRA going to sway Biden, and it’s entirely internally focused on your people and the politician. The NRA is playing to a national audience; their actions are not going to be fairly reported, but they can do things with binary reporting outcomes like show up at a meeting and not look churlish. No need to add to the claims they’re being obstructionist. Of course. Just wait until you hear how the media is going to be gushing over the NRA’s “cooperation” tomorrow morning. My moods about this stuff change from time to time, which is probably why it’s a good thing I’ve dropped out of the active game (beyond letter-writing. etc., of course). But to make an analogy, every now and then there is something to be said for communicating your seriousness by recalling your diplomats, so to speak. The most amusing part I heard was that Biden says there is now a “consensus” about what to do. It’s awfully easy to get a “consensus” when you stack the deck of where that comes from. 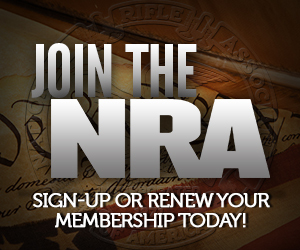 2 pro-gun groups, and how many anti-gun group representatives? 10:2? 20:2? 30:2? This is payback being delivered for so openly opposing a second term. Sandy Hook was just a convenient jump point. Understand this is not about guns. It is about the NRA and those gun groups with influence. It is meant to teach a lesson. It’s too early to say, but hopefully we beat these idiots back and the lesson gets turned. I don’t think so. I think it is just fundamental statism, plain and simple. But if it is payback — forgive my Machiavellian analyses — it is deserved. That the NRA endorsed gun-grabber “R” displayed pretty flagrant partisanship triumphing over pure gun rights ideology. So now, if you’re right, the ideology is stuck with the outcome. If you believe we’re getting payback, that should have been considered as a possibility during pre-election strategizing. Let’s hope that partisanship is repaid by those the NRA supported. Thing is, a lot of us view Romney as a “doesn’t give a damn about the RKBA” and there’s no denying his actions were good (if we don’t accept Bitter’s “I Was There” I don’t see how we can discuss this). He was only a gun grabber in the signing speech of that bill … and who knows, that probably helped lose him the election, but unintentionally helped it fly under the radar. There’s also the fee raises, but they weren’t done in isolation, right? But compared to a sitting President who renewed his 2008 call for an AW ban (and is now delivering…), I can’t see how that endorsement was unjustified. Unless I’m forgetting Romney calling for gun control in the 2012 campaign. Ah, a little quality time with Google shows he’s wasn’t so good in what he said in his campaign for the 2008 nomination. It’s the McCain endorsement I can’t stomach; McCain went nuclear against the base after losing the nomination in 2000 and e.g. with Liberman tried to shut down gun shows. Cut commercials for this cause and achieved results in Oregon. Just as an example: I have had differences with Pennsylvania FOAC personalities in the past, and I still don’t agree with some of their endorsements. But, that their voters guide almost always includes a very large number of offices for which they indicate “No Suitable Candidate” to me is an example of how things ought to be done more often. It tells both parties we really are serious about our issue, and that they need to work harder for our votes. I think the problem with that is if you never bring the gun vote into play, politicians are very apt to assume that’s because you’re blowing smoke up their asses in regards to the size of your coalition, and your ability to bring those votes to the polls. The gun control advocates constantly hammer that the gun vote is phony, that it’s only a small number of individuals, and not important in the big scheme of things. I tend to think of the political process as a game. If you want to win you have to play. I’m not saying you never stay out. There are certainly elections I think various parties should have stayed out of myself (ultimately I understand why NRA felt the need to endorse Romney, but it was a big gamble, and they lost the bet), but if your definition of good enough is nearly perfect, the politicians aren’t going to compete for your vote, because they aren’t going to understand it to be something they should compete for. Errr, how did they lose the bet, except for the damage they did to the brand by endorsing someone with such vicious gun grabbing statements on record? Or worse, is there video? Before the election they and Obama were implacable enemies. If Romney had won, presumably he might remember that gun owners helped him; certainly not endorsing him or making negative statements would have put us in a bad posture with him. OK, Romney lost, Obama won, and they’re still implacable enemies. Except of course as he told the Russian President on an open mike, that was his last election and that “After my election I have more flexibility.” Which he’s taking advantage of in showing his true colors on guns again, to absolutely nobody’s surprise. Well, nobody who didn’t drink the Kool-Aid and was willfully blind.